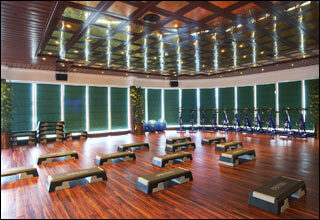 The Sun Deck features Movies Under the Stars, The Sanctuary, The Sanctuary Pool, Sports Court, and Topsails Bar. 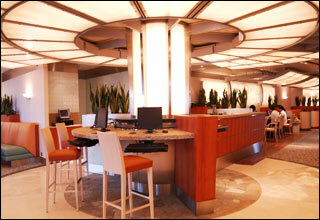 The lively Horizon Court is an international buffet with indoor and outdoor seating. 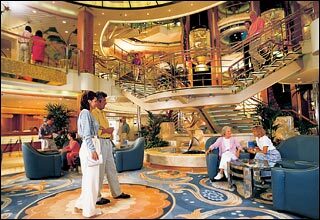 Enjoy the best view on the ship from the Seaview Bar. 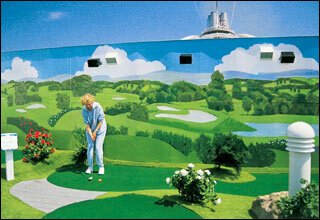 Movies Under the Stars and Riviera Grill are also on this deck. 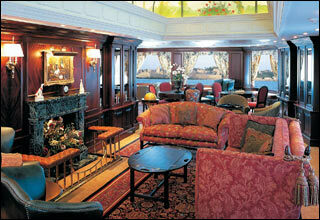 The Riviera Deck features staterooms in categories BA and II. It also features the Riviera Pool and Bar, Youth & Teen Centers, Lotus Spa, Salon, Pool and Fitness Center, and Sundaes Ice Cream Bar. 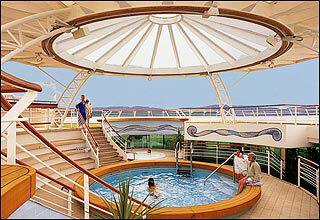 The Aloha Deck features staterooms in categories BA, BB, CC, II and I. 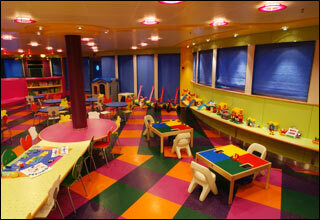 The Baja Deck features staterooms in categories AA, AB, AC, BB, BC, C, I and JJ. 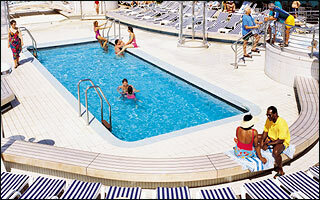 The Caribe Deck feature staterooms in categories AA, AB, BC, BD, BE, BF, DD, JJ and J. 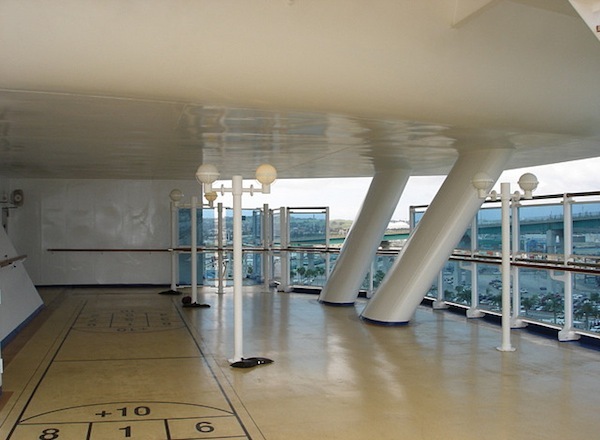 The Dolphin Deck features staterooms in categories AA, AB, D, EE, GG, G, HH and J as well as the Panoramic Lift for a wonderful view of the spectacular Grand Atrium. Be sure to try your luck in the Monte Carlo Club Casino, which features a variety of slots and table games for your enjoyment. 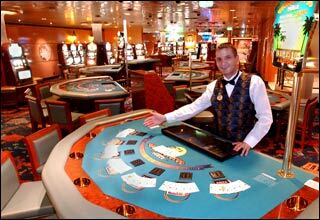 Cafe Cornice, Players Card Room and Players Bar are also on this deck. 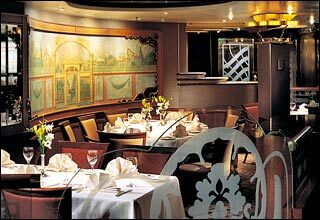 The Promenade Deck features the Vista Lounge, Princess Theater, Wheelhouse Bar, Atrium Lounge, Crooners Bar, Premier Cru, Razzmatazz, The Library & Writing Room, Art Gallery, Internet Cafe, and Photo-Video Gallery. 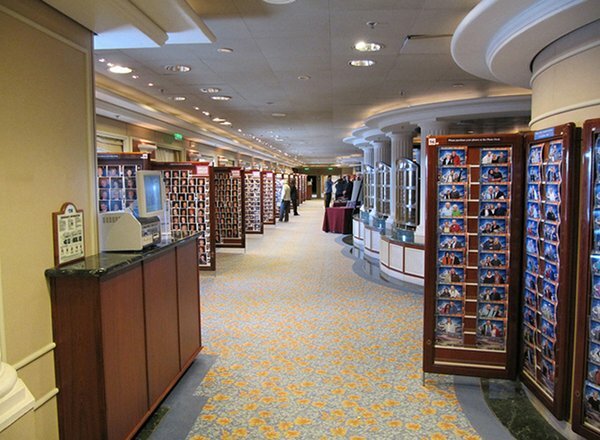 The Emerald Deck features staterooms in categories E and K as well as the Latitudes (logo apparel & souvenirs, sundries, liquor & fashion apparel), Reflections (fine jewelry, fine gifts, fragrances & cosmetics, watches, fashion jewelry), and Traviata Dining Room. 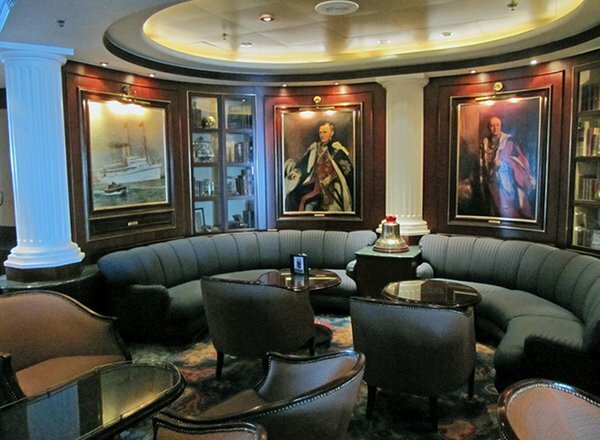 The Plaza Deck features staterooms in categories FF, F, K, L, M and N as well as the Rigoletto Dining Room, Explorers Bar, Passenger Services Desk, and Shore Excursions Desk. 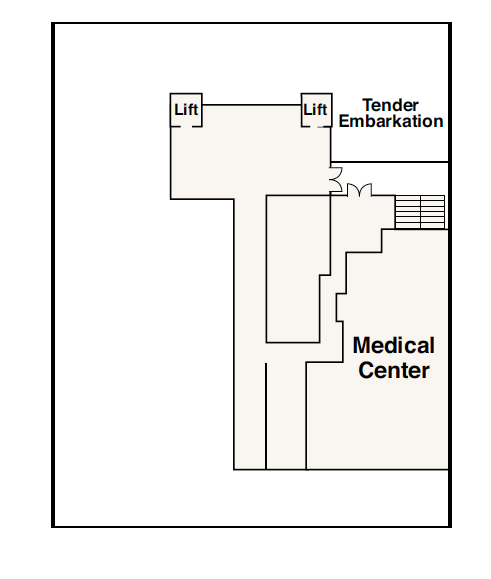 The Fiesta Deck features the Medical Center. If you choose to follow Sea Princess you will receive weekly email updates with the latest reviews, tips, and photos from Cruiseline.com members about Sea Princess.